Royal Chundu River Lodge rests on a private stretch on the banks of the Zambezi River, just upstream from the mighty Victoria Falls. Protected by two sets of rapids, the Relais & Châteaux property embraces an ambience that is both wild and graceful. Explore the lifeblood of Victoria Falls – canoe the waters where hippo pods roam, toss your line into the deep-flowing channels to wrangle the stubborn tiger fish, meet the people who call the riverbanks home and meander along its current on a sunset cruise. Venture to Katombora Island in the middle of the Zambezi, peppered with 2,000-year-old jackalberry trees and python creepers. Picnics on Persian rugs are set up beneath the trees, accompanied by the sounds of the coursing rapids and African fish eagle’s cry. Each of the 10 thatched roofed, river-front Classic and Luxury Suites come with a double shower, king-size bed and private deck boasting uninterrupted views of the river. Sip on champagne in the lounge’s boma or retire to the dining room for an intimate dinner. Surrender to the spa’s natural and holistic treatments, applied by the local massage therapists’ healing hands. This all-encompassing tour features Southern Africa's most romantic destinations, from Kruger Park and Victoria Falls to Cape Town, the Whale Route, and the Cape Winelands. 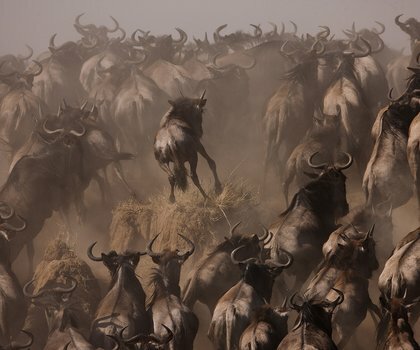 The perfect tour for a safari fanatic! Experience encounters with the iconic Big 5, marvel at the incredible Victoria Falls and spend time in the exquisite African bush. Enjoy Cape Town's energy and the serenity of the Whale Route before embarking on the safari leg of your journey. End your adventure admiring the majestic Victoria Falls. 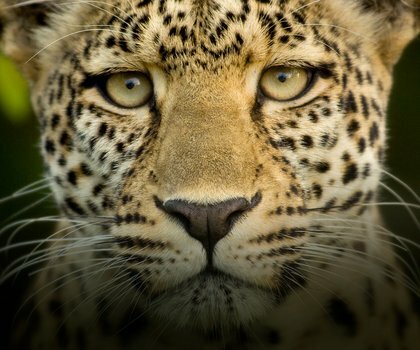 Experience Cape Town and the winelands before heading north for a Sabi Sand safari adventure. Stop to admire Victoria Falls next before heading to the Okavango Delta. Bring your family along on this Tanzanian journey through the wilderness. Spot the Big 5 and take comfort in knowing that every member of the family can explore. Southern Africa's most enviable destinations are the star of the show in Ian's impeccably organised vacay exploring some of the region's hottest attractions. Royal Chundu Island Lodge is set on the private island of Katombora on the Zambezi River. Here you will experience an idyllic African-island getaway, completed with Relais & Châteaux’s standard of accommodation, cuisine that echoes the rich heritage of the region, and the hospitality of the Zambian people. 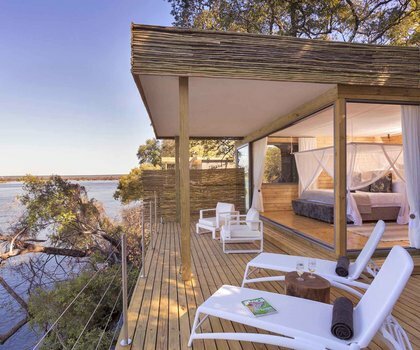 Islands of Siankaba is a luxury lodge spread over two islands on the Zambezi River, ideally positioned between the renowned Victoria Falls and Botswana’s Chobe National Park. Enjoy staying in a tranquil and luxurious environment while still having access to all the activities and attractions of Africa’s adventure capital nearby. With waterfront views of the mighty Zambezi River on a 300-acre family farm only 25km upstream from Victoria Falls, frequented by elephants in the dry season, Chundukwa River Lodge is the ideal location for guests to explore all this region has to offer before retreating to their tranquil and relaxed base. River Club is situated on the banks of the mighty Zambezi River, upstream from the thundering Victoria Falls. Here guests can immerse themselves in olden-day charm and five-star luxury. Drift quietly downstream on a sunset cruise, visit the local African village, go game-viewing in Mosi-Oa-Tunya National Park and visit the iconic Falls. High Moroccan arches lead guests through the thatch-ceilinged passageways of Tangala House, complete with four stylishly-designed bedrooms, a lounge, kitchen-dining room, children’s playroom, and swimming pool-fringed veranda—plus private vehicles and staff. On the banks of the Zambezi River, this opulent family home offers the perfect Zambian safari destination. A short boat ride from its sister property, Tongabezi Lodge, Sindabezi Island Lodge provides guests with prime access to the renowned Victoria Falls and the wildlife-rich Zambezi River. Open-sided thatched chalets dotted with solar-powered hurricane lamps grant romance intermingled with natural splendour during your private and pristine Zambian stay.